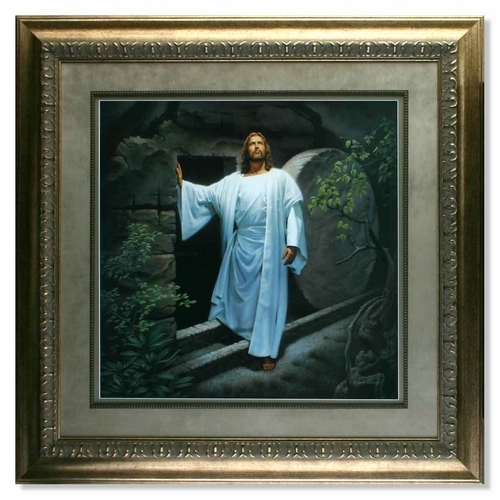 He Lives by Simon Dewey is a Christian Art piece that would enhance any home décor. 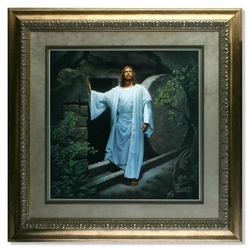 This Christian framed art is a Top Seller at LordsArt.com and makes a perfect Christian gift for the home or church. About the Artist: Simon Dewey, born in London, England, is well known for creating beautiful and uplifting images, including those of the Savior, His life, and His ministry. A Strata Design is a lithograph print mounted on board and sealed under a clear, scratch resistant, UV protected layer. This process allows the artwork to be framed without glass – eliminating the glare and worry associated with glass. 10 options available - See drop down box for pricing.